A complete solution that brings together people, process, and technology to streamline simulation operations. 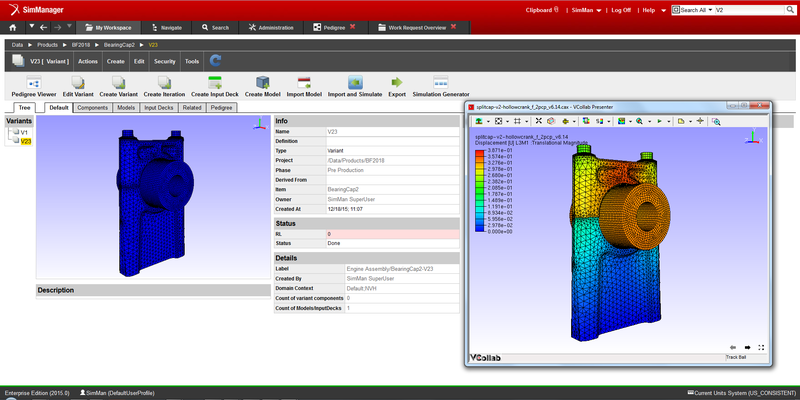 SimManager is a Simulation Process and Data Management (SPDM) system that manages all aspects of CAE simulation with focus on meeting the sophisticated data management and processing needs specific to the simulation community. The 50 years of experience in CAE industry has endowed MSC with the requisite knowledge and proficiency to provide a complete solution that brings together your people, process and technology to streamline simulation operations. 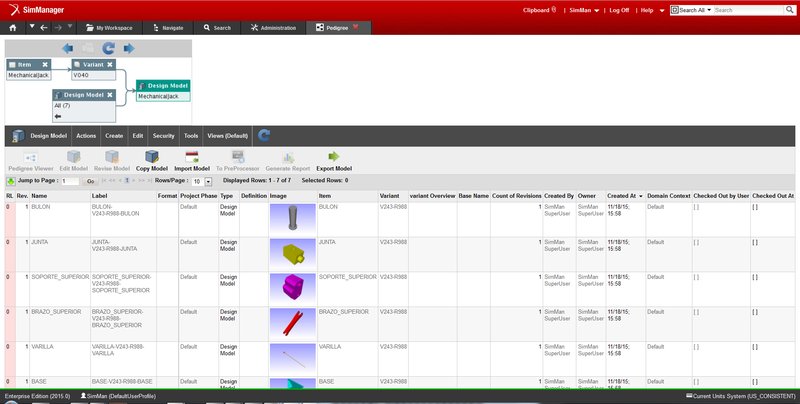 SimManager is a web-based simulation data and process management system that manages all simulation data and processes from project initiation through final report generation. Using SimManager, simulation operations become more productive and effective, reducing the cost and time it takes to bring better products to market. Effective implementation also helps meet the required certification requirements where needed, and storage and recovery of data when needed in a secure manner. SimManager gives everyone a chance to be on the same page throughout the course of any given project. That saves time in meetings, and it helps ensure that a single person isn’t the gatekeeper for all information related to a project.